From the red carpet to real life Takes your beauty cues from the red carpet for a polished and pretty new look As we wrap up award season for 2015, there were a few distinct trends that we can take from the countless A-list looks that we saw at the BAFTAs, Golden Globes, SAGs and Grammy awards. These new trends are perfect for spring, whether you’re going out and want to sport a new lip colour or simply looking for a hair and makeup update. Marsala Lips A major lip look at this year’s Golden Globes, more than four actresses sported Pantone’s colour of 2015 on their lips, including 50 Shades of Grey star Dakota Johnson, as well as Keira Knightley and Maggie Gyllenhaal. Considered the most flattering Pantone pick in years, Marsala is a perfect ode to the 1990s and is universally flattering. Muted Eyes Victoria Beckham and Marc Jacobs went the barely there makeup route for their Spring 2015 runway shows and stars like Miley Cyrus and Rihanna (Grammy awards), Bond girl Léa Seydoux and Reese Witherspoon (both at the BAFTAs), were right on the money with their perfectly pared down neutral eye shades. 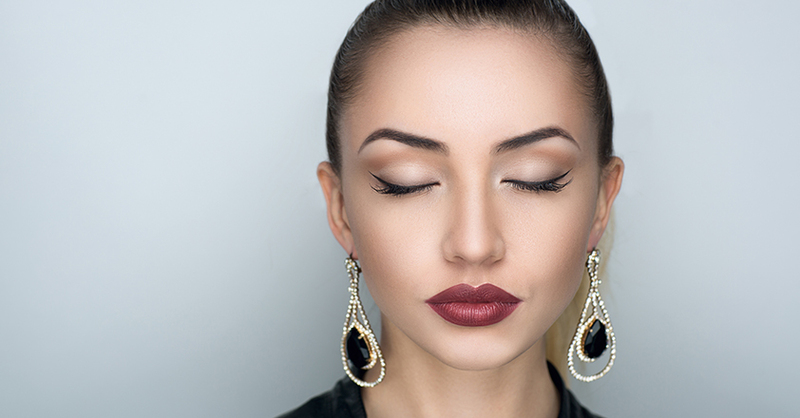 Mimic this look and still look polished by playing up your eyes with muted tones like ivory and pale beige. For everyday, do not forego concealer and mascara; it will keep you looking on-trend and naturally pretty. Eyebrows Giving faces a youthful appearance, full eyebrows are a trend that is here to stay. Look to stars like Emma Stone, Juliana Margulies and Keira Knightley at this year’s SAG awards, for brow inspiration, and grab one of these tools to make the statement brow your own. Beachy Waves Runways and editorials have been mimicking cool girl, beach waves for a few seasons. The latest iteration is still piecey and looks like the hair has air dried, but now includes some polish (think Beyoncé‚ at the Grammys). Snag those ethereal waves with the products below. *TIP: To create waves, instead of curls, allow the ends of your hair to stay straight when using hot tools, and make sure to pull down and shake the curl before it completely cools.